La Piedra de la Rosa - one of the most beautiful roses you have ever seen on Earth. Everybody visiting Tenerife (Canary Islands) knows that it is mostly “all about” volcano El Teide – dominating not only the National Park but basically the whole island. Driving through the park’s vast moon-like landscape is quite challenging. It is not only the eye catching landscape of strange lava formations shaped by as always resourceful Mother Nature. It is also a good driving test due to the winding roads made mostly of countless bends. But El Teide volcano is just the tip of the iceberg in the park containing myriad of other, certainly smaller but as precious as El Teide natural treasuries. 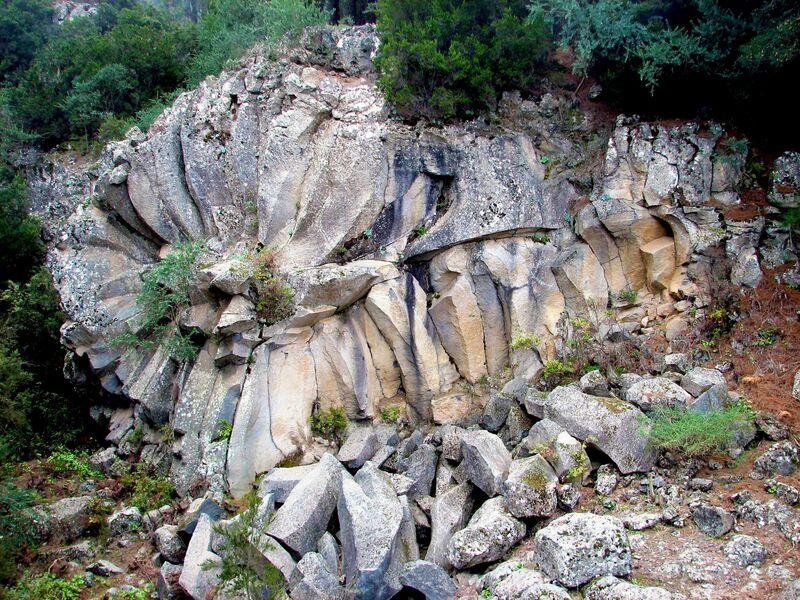 One of them is a La Piedra de la Rosa – a stunning rock formation shaped like a flower of rose. 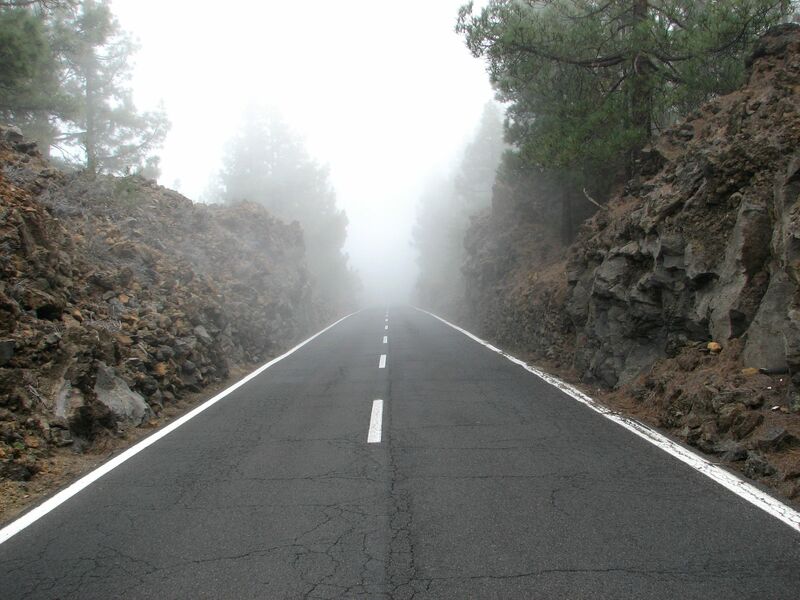 Misty Road down to the Orotava valley. Fortunately it is not that difficult to find as it is on the way from the El Teide National Park down to the Orotava valley. Of course there is always a small “but” – and in this case it is the weather pattern. For most of you, especially those coming from Los Cristianos /Adeje it will be totally surprising to see the weather pattern changing so abruptly from crushing sun all along the El Teide National Park to foggy, misty climate on the northern side of the island down to the Orotava valley. Sometimes low laying clouds may make difficult to see the front of your car, not mentioning anything else along the road. Nature's hand at its best - flower of the rose. 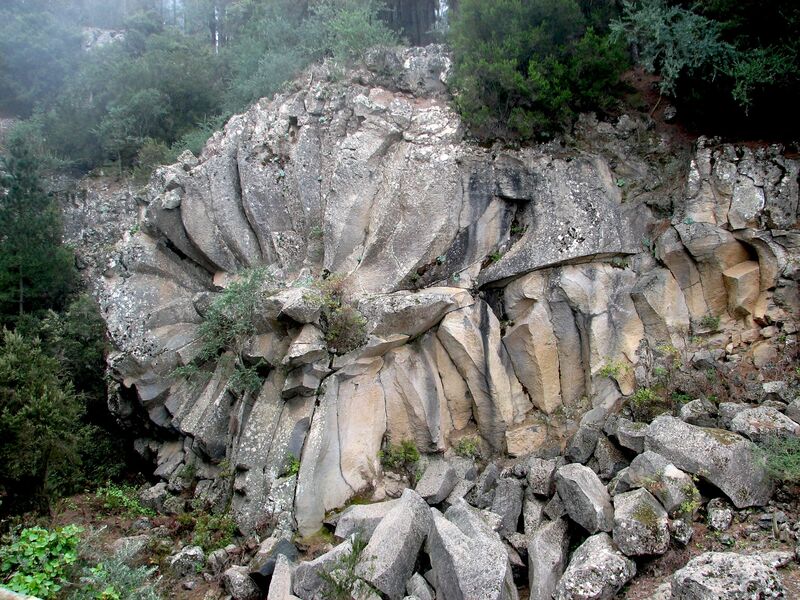 There are many similar flower-like rock formations on the island of Tenerife, none of them however is so spectacular and so easy accessible for public. 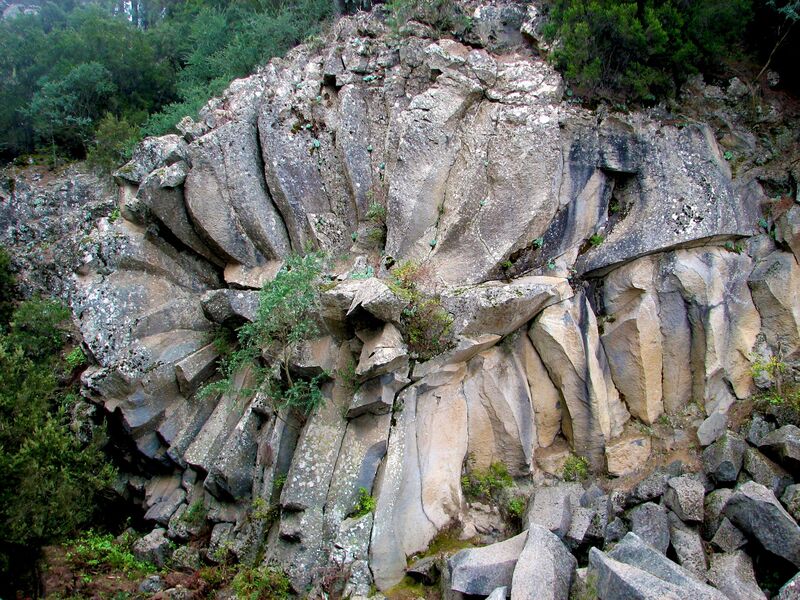 La Piedra de la Rosa is the result of a combination of processes which were initiated when the lava river got cold, which formed this singular geological structure. When the lava is solidifying, its mass contracts and cracks. That’s why when the rocks are exposed to the wind and weather, they sometimes tend to crack adopting some characteristic shapes, in some cases, you can find balls produced by spherical flake off. In other cases, when the rocks are broken into hexagonal prisms, the "organs" are created. If the cracks are of a radial type, "stone petals" are easily loosened, producing the formation of roses. The misty weather in the area of La Piedra de la Rosa is certainly adding mysteriousness to this masterpiece creation by the Nature. The layers of white satin suspended in the air are beautifully “softening” the image of this hard rock formation. Blurred sharp edges of stone are making La Piedra more delicate, elusive and fragile like a real flower of rose. No wonder – you are on the Tenerife island – in my opinion the true location of the mythical Garden of Eden mistakenly placed (“misplaced”) by most in Mesopotamia. Well, the pictures may not show it all because for s short period of time during my visit there the weather was “friendlier” ….. But I’m sure even these few Piedra de la Rosa pictures sufficiently open the doors of your imagination….. I hope that the the visit to the Piedra Rosa again helped you to see something new and fascination on our Planet Earth, for many may be the most beautiful rose you have ever seen.